Q: What is SEO? A: SEO is known as Search Engine Optimisation. Q: What is SEO ? A: SEO is the name given to improve search engine rankings online so you can get more visits to a website page. Google use the data from your search to help improve the search engine results for other people just like you that search for the same topic. People that own a website or online business should keep up-to date with google’s algorithm changes. Keeping up to date with google’s algorithm change will help your website rank high in the search engines. When you rank high in the search engines you get more free traffic. Your free websites traffic from good SEO can then be converted into new sales or leads for your business. Now you know why some websites make £0 and others make millions of pounds. The danger of not keeping up-to date with the Google algorithm changes. Not keeping up to date with the algorithm can sometimes crush a business overnight. Google dislike websites that take a long time to load. Google also dislike non mobile friendly websites. Your website should be mobile friendly if you want to get more free traffic and sales. A slow websites can be moved down to the second page of google if the data being sent back to Google from the searches people like you and me make show that people never stay on the website page that takes a long time to load or people are leaving the website because your website isn’t user friendly. All data Google build is be part of the old or new SEO and algorithm updates they make. When they do a new update people like me and you should stick to it if we want to rank higher up the page results of Google. Google usually rank fast loading mobile friendly websites that have the right SEO and information on them. If a fast mobile friendly website with the right information and SEO is showing google that people really like the page they found then this can do your website or website owner good as Google love to rank pages like this. Google also rank websites by seeing how long a user hangs around on the website and how many links from other websites are pointing back to that website or page. Google also have many other ways they keep a secret because some bad people will try trick the robots they use that track all this data. One way they might rank a website page is by seeing the comments on that post the user is reading. Mobile friendly websites can get higher rankings in search engines. The reason mobile friendly websites get higher rankings is because people like a good user experience when shopping or reading online. If Google rank bad websites then people will never come back to use Google. That only costs Google money if people never come back. Google will 100% punish websites that annoy the user and try to trick them. I can help you with all this so you never have to worry about this problem. It’s a good idea for all business owners and SEO teams to read Google’s new algorithm updates regular as this can affect a websites ranking if they require you to update a new change you ignore. Not tracking the guidelines can really hurt your profits. You can learn more about SEO by clicking here. Q: Do you want to start a consulting business that can give you some extra freedom? This post might help you make better decisions from the start. Below are some consulting business tips and solid advice you should know before you start a consulting business in 2018. A consultant’s job is to consult the customers needs with the right information only. It’s that simple. You might want to get a team of friends to offer other services and make a referral fee for sending your client to them. So how much will you make as a consultant? How much you make depends on what service you offer and market you help. Some consulting services can be £200 daily and some can be £20,000. I think it also helps to have a passion and high drive for excellence so you can get deep domain knowledge of the industry you enter so you can justify the fee you charge your new customer. The more you learn the more you earn so learn to invest in yourself. People that invest in themselves believe in themselves. Below are some things you need to consider before you enter the consulting game. What licensing or licensing will you need. Are you even qualified to be a consultant? People pay for results so make sure you can give them the information or services that can get them the results they need. Are you fit for the job? I think it’s very important to be self-disciplined and work on self-discipline exercises daily. Do you like to go to network events? Networking events are key so learn networking and search online for some good networking tips so you can work on this from the start. 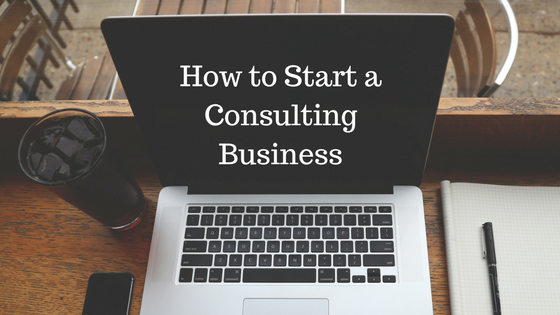 Do you really want to be in the consulting business? Growing a consulting business can take some time. You need to know if the decisions you make moving forward are really what you want to do, and if the steps you take now help you become better later so you can charge higher fees later. Some people try to charge £10,000 for a daily fee for a service that has no demand and then wonder why they go broke. Being a specialist doesn’t always make you money as a consultant so you might want to accept that your fee needs to be dropped. You might feel a little annoyed about this but sometimes dropping your fee for a larger market that can afford your fee can make or break your new consulting business. P.S. You should keep your day job for now and have your own inside outside hustle if you have no demand. Lower your fee and just accept the market you enter can’t afford your daily fee. Top 10 business consulting ideas for 2018. You can start a consulting business in most games thanks to the international access we have to the world. Below I have a list of 10 consulting field that could work if you have the right skill and demand. Please note that demand is what allows you to charge high fees. P.S. A bit of compelling copy that sells your service can also help you up your daily or monthly fee. Marketing. – You can see some of my best marketing tips here. Please note that you should always think category when thinking about a consulting service. Most people try to be everything. If you can build websites or you have a digital marketing skill then you should think category. Below are some good examples of consulting categories. I specialise in website design for law firms. I specialise in website design for window fitters. I specialise in restaurant marketing on yelp. I specialise in yelp marketing. Bonus tip. If you enter the game of restaurant marketing, then try only get clients that have 3 or 4 or more restaurants and make over £800,000 yearly and most of them will pay you a monthly fee for doing all the work if they need help and you can fix the problem for them. Do you have a buyers market? You need to have a buyers market ready to give you money in exchange for the consulting service you offer, or learn how to get them using PPC, networking and all other channels that might get your foot in the door of your ideal client as ideas and plans never always go to plan. You have many ways to get new customers so it might be a really good to hire your own consultant to help you see if you have a profitable business and profitable marketing strategy and funnel. Having a good marketing strategy and funnel can help you see the data you need to make the marketing efforts you do profitable. Why a business might hire you to consult them. Below are 10 reasons why a business might hire you to help them. Your expertise in your field helps them move to the next level without the risk of losing lots of money or crushing the business. They need you to show them the problems only people with deep domain knowledge know. They might not have the money to fix the problem later by not knowing them from day one so a smart CEO would like to make the investment now. The CEO likes to save money and knows it can be cheaper to pay a good consultant than hire a team on a full pay. The team they have need the right training to move to the next step. The team they have just have no drive or time to do the job and the CEO likes to keep the team happy. They need a new strategy or game plan because of law changes, old strategy isn’t working or good employees have left to work on a bigger team or idea that might put the business at risk. New data shows a better ROI so they need to know how to maximise the ROI or IRR. They have extra money to blow or sales have dropped. The business has a new CEO with more skills and needs to make the investors happy. You have many reasons why a business large or small might hire you but this list above is some of the main reasons they might hire you to consult them. Should you work from home if I want to start a consulting business in 2018? Why? You have low overheads that can really help you when getting started as 80% of businesses will fail. If you fail at the new business then I think failing responsibly is best. Give you the flexibility you need in life. Less stress of more bills when you have no work. P.S. Sometimes writing a book can help you keep the work coming in. You can be more flexible with the fees you charge. How much should you charge as a consultant. You need to know your daily or monthly costs of running your business by writing a list of expenses and look at the ROI and IRR on your time and investments that help you grow or get new clients. Before you set a daily or monthly fee you should call some consultants around your city or town to see how much they charge. If they charge £997 then use this as the industry standard. If you have better tools for the job then you can charge more than the industry standard or keep the same industry standard fee and over deliver to create more talk value that might get you more work. If you take a retainer from your new customer you need to remember that most clients will have a clause that prohibits you from working for competitors. Always ask for the first and last month retainer fee as people can pay late and this can bring problems for you. 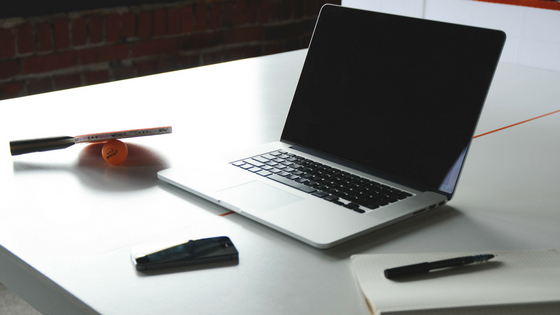 Should I charge hourly fees? Hard question as not all services are the same. Never set your fee so high that no business can afford your consulting services and you never get any calls to your phone. Never charge so low that the business owner will never call or take your services seriously. Should you offer a money back guarantee? This should be tested. You can test it on your PPC and landing pages and when you call them direct. This might convert more people but you need to be careful as some people will try not to pay when the job you did was 100%. Should I contact people direct to offer my services? Get a good script to work with and keep testing the copy and practice it at home over and over. Calling just before they open and just after they close will give you a better chance of reaching the decision maker. The end goal is to get the interview with the decision maker and sell the service you offer later. We could be here for days talking about SEO, marketing and PPC. Marketing can hard or very easy depending on the tools and marketing strategies you have. P.S. You might want to hire a Good Marketing Agency to help you get the right tool and data you need. Marketing is all about testing and getting the CAC cost and time cost from day one so you can make the right decisions to move up to the next level. Q: Do you need a website or help marketing your business or service online fast? If you need my advice on marketing then I have some FREE powerful marketing tips & tricks that can help you bring the costs of marketing down HERE. You can contact me 24/7 using my easy contact form on this page if you need my one-on-one help. 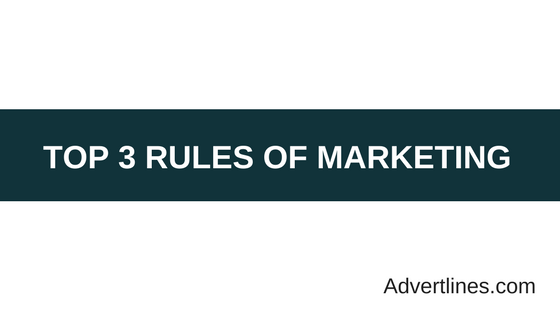 You must never forget my top 3 rules of marketing if you like marketing or own a business. The rules below will never die. I decided to write this top 3 rules of marketing post for all the stubborn marketing gurus that never focus on the advice below. This post is also for all new marketing students that like to learn, and want to study the proven formula of online marketing when starting a blog or vlog. The trick is to take a person from one place not so good to a new place that makes them happy with the knowledge you can provide them. If you cannot do that, then you have a challenge. P.S. You must think category too! Never forget that good marketing is about the category. Before you pick your category you must pick only one from the options below. What do you/your brand want people to feel? What format suits you/your business best? Pick one from each list before you ever start a blog/vlog to help you ethically crush the competitor when marketing your business online. P.S. Do you like learning new marketing tips? You must see this Instagram page of mine full of marketing secrets if you need more quick marketing tips.